BARD1 Life Sciences (ASX: BD1), a company focused on developing and commercialising non-invasive diagnostic tests for early detection of cancer, has gained patent approval from IP Australia for its “BARD1 isoforms in lung and colorectal cancer and use thereof”. Chief Executive, Dr Learnne Hinch highlighted that this core patent family now has four granted patents in the US, Japan and China, as well as Australia. BD1’s patent portfolio as highlighted below includes five patent families covering various BARD1 DNA and protein sequences, methods of diagnosis and treatment, and use in multiple cancers. 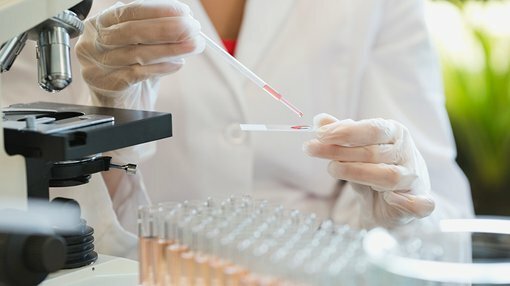 The group’s lung cancer test is currently in development for the early detection of lung cancer, the fifth most common cancer and the leading cause of cancer deaths in Australia. It should be noted, however, that this is an early stage biotech company and success is no guarantee. Investors should seek professional financial advice before making an investment. The Australian Institute of Health and Welfare (AIHW) estimates that there will be 12,434 new cases of lung cancer diagnosed and 9,021 deaths from lung cancer in Australia in 2017. The latter represents 18.9% of all projected cancer deaths. Hinch highlighted the fact that lung cancer is often diagnosed at a later stage after it has spread to other parts of the body, resulting in a 16% chance of survival after five years in Australia. Early detection of lung cancer has the potential to save lives by enabling early treatment when it is potentially curable, but there is currently no approved blood test available for early detection of lung cancer in people without symptoms. BD1’s technology uses novel tumour markers and a proprietary algorithm. The company also has a pipeline of technologies with similar goals such as the Ovarian Cancer Test which is aimed at the early detection of ovarian cancer, and the company also has high-value diagnostic and therapeutic projects at research stages for multiple cancers.